Denny Laine — 21st Century Artists, Inc.
Denny Laine is an English songwriter and multi-instrumentalist, best known for his roles as former guitarist and lead singer of The Moody Blues and, later, co-founder with Paul McCartney of Wings. Laine was one of three constants in Wings, along with Paul and Linda McCartney. Denny was also the lead singer on the Moody Blues’ "Go Now", which was a worldwide multi-million seller. Wings’ "Band on the Run" hit #1 in the U.S. three different times and eventually the album went triple platinum. In the UK, it spent seven weeks at #1 and went on to be the top selling British album of 1974. In 1975, Wings won the Grammy award for “Band on the Run,” the title track from the 1974 album. With the 1976 release of Wings at the Speed of Sound, Wings had become one of the most successful groups of the decade with a top-grossing tour to follow. 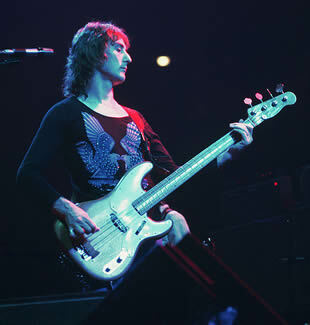 Denny performed solos during their concerts on their 'Wings Over America' tour and showcased his talents on many songs, most notably "Go Now." Denny still tours today, performing classic Wings and Moody Blues hits as well as his new material.